It’s that time of year again, where we’ve succeeded in growing a few courgette plants from seed (it amazes us how much plant can grown from a tiny seed!) and now we have plenty of courgettes and marrows to enjoy. We often roast or barbecue them but this year we’ve been diversifying. Courgette linguine (aka courgetti or zoodles!) is a permanent fixture on our menu these days, and I was recently inspired to try making some courgette fritters. I started with about 3 medium courgettes, which I grated then removed some of the moisture by wringing them out a bit in a tea towel. Then I put them in a mixing bowl with some chopped ham, mint and seasoning. 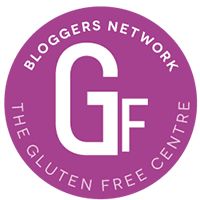 Separately, I made a very simple batter from some gluten free flour (130g?) and 3 beaten eggs. It wasn’t perfectly smooth but that doesn’t matter. 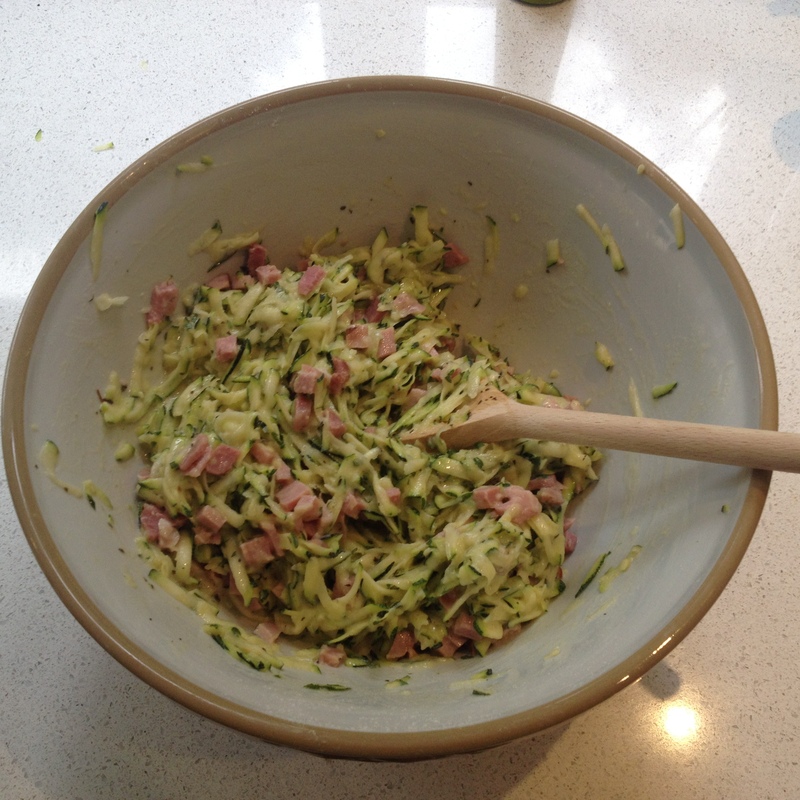 In it went and it coated the courgette and ham mix. I fried small serving spoon sized dollops in a bit of hot olive oil until golden brown on both sides. Don’t be too shy with the oil – it helps with the colour. These fritters were great served at room temperature, and went down very well with the cousins and kids as part of a light lunch. Delicious, light and very satisfying to make.